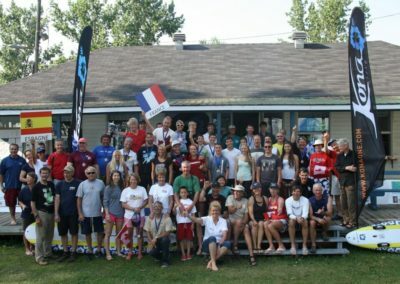 The 2013 Kona Worlds were held in Trois-Rivières, Quebec, Canada. 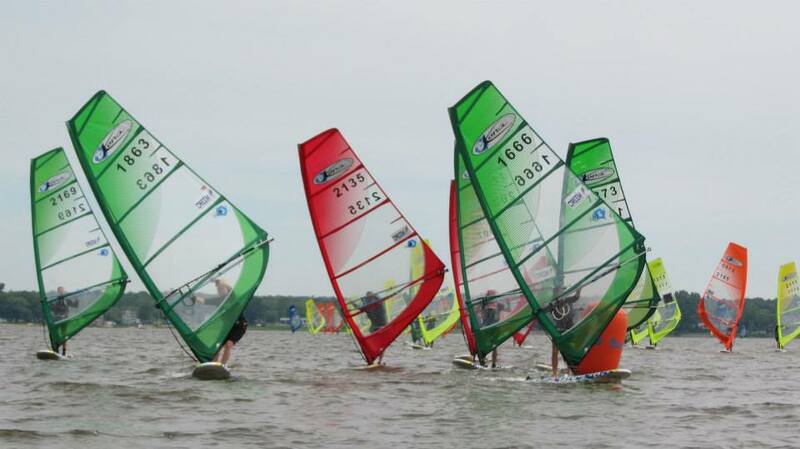 Organized by Club Multivoile 4 Saisons, 28 Jun – 3 Jul, 2013. 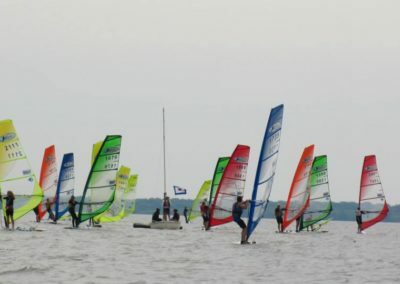 Photos: Club Multivoile 4 Saisons. 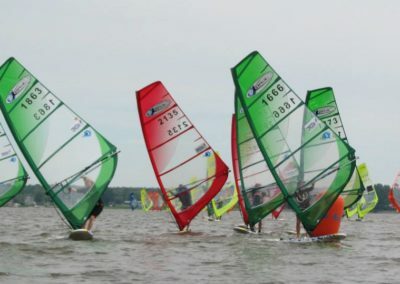 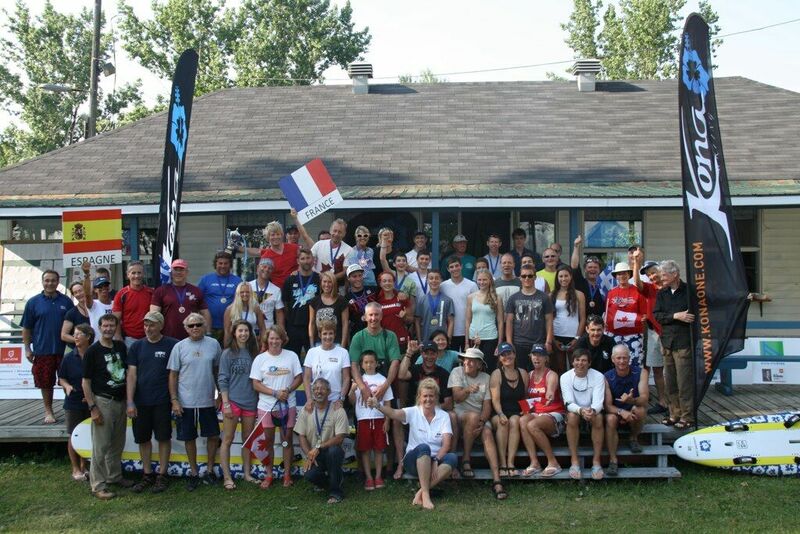 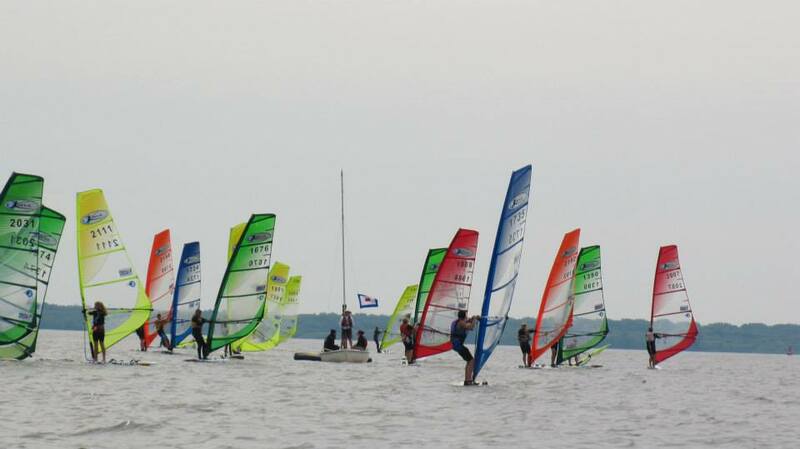 Mission accomplished at the 2013 Kona Worlds for Club Multivoile 4 Saisons in Pointe-du-Lac! 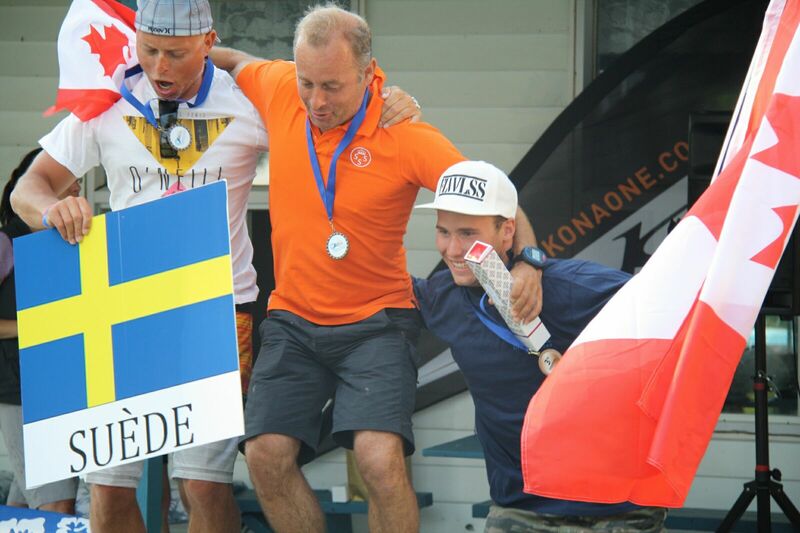 While Swedes Bjorn Holm and Joachim Larsson took the first two spots on the podium, it was local hotshot Jean-Sébastien (JS) Fugère who had the biggest smile this week! 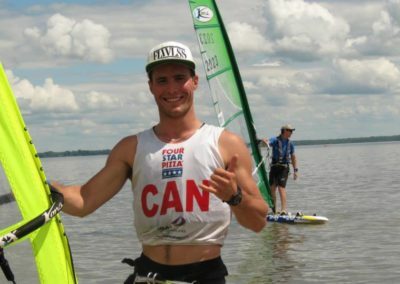 The young athlete from Yamamiche knows Konas (he’s taken part in three world championships in the class already), but with Rio on the horizon, he spends most of his training days on the Olympic RS:X board. 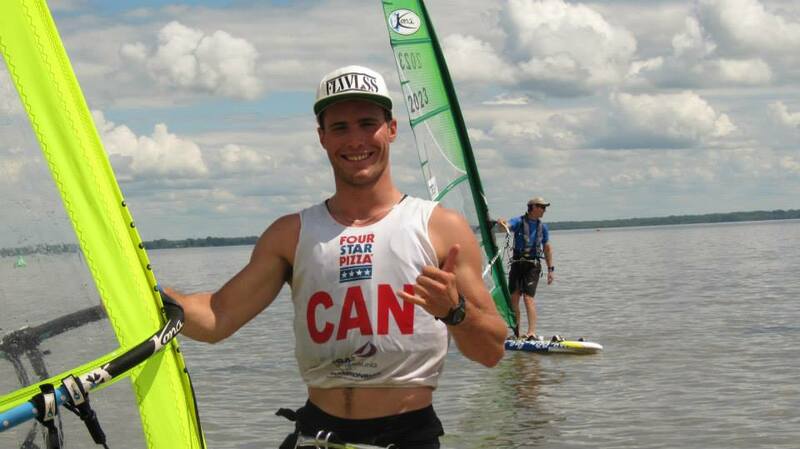 Regardless of the board, the training is paying off: this week, he finished 3rd in the world! 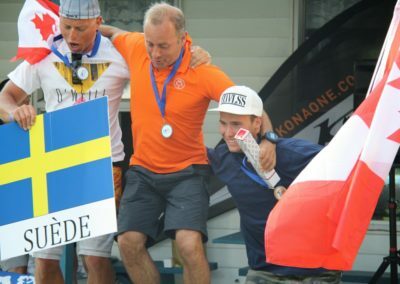 JS was just back from an intense Olympic training camp in Sweden, where his training partner was the young and talented Adam Holm. 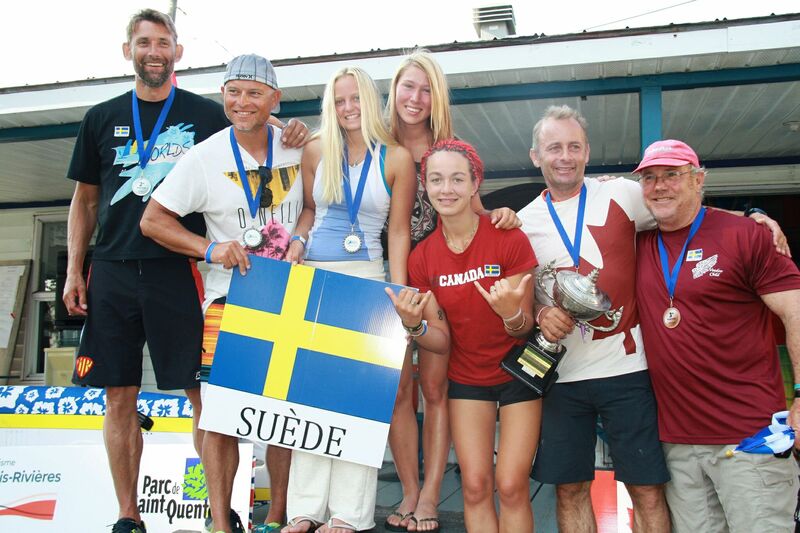 Adam couldn’t join his friend in Trois-Rivières this week, but not to worry, the Holm family was well represented: father Bjorn and sister Andrea are heading back home with world title medals around their necks!